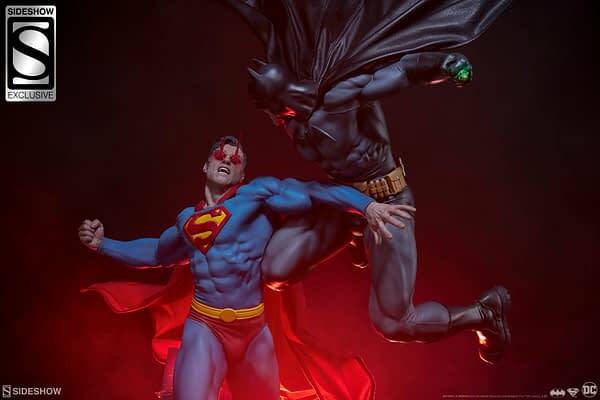 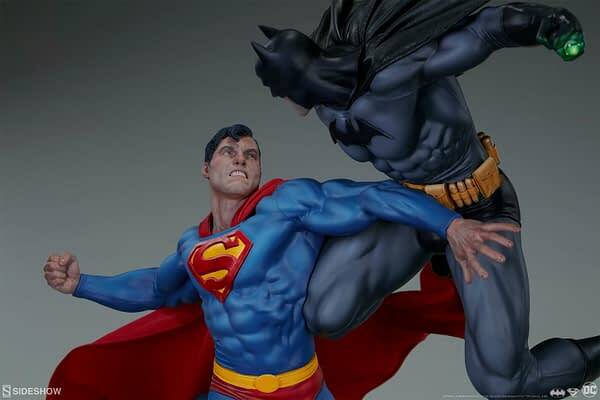 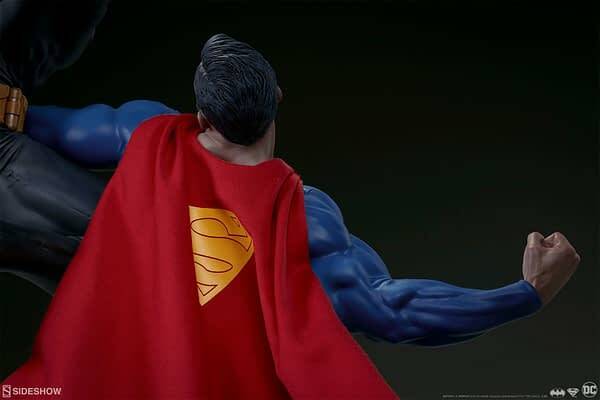 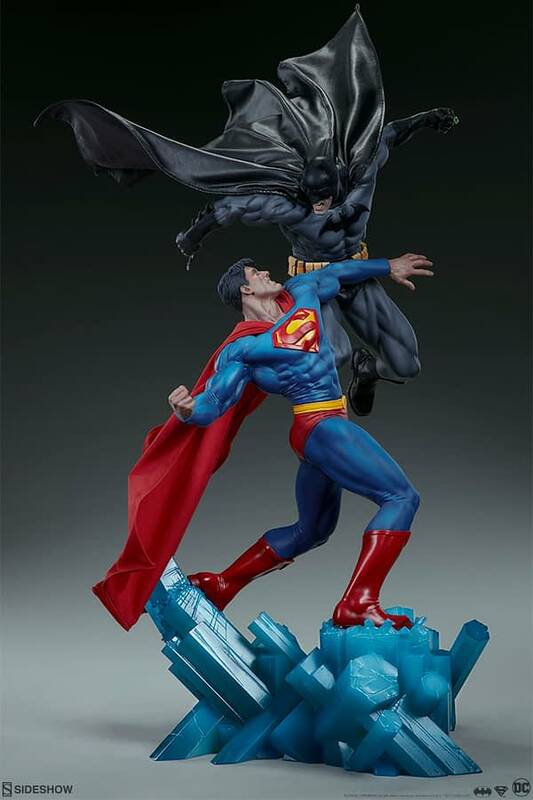 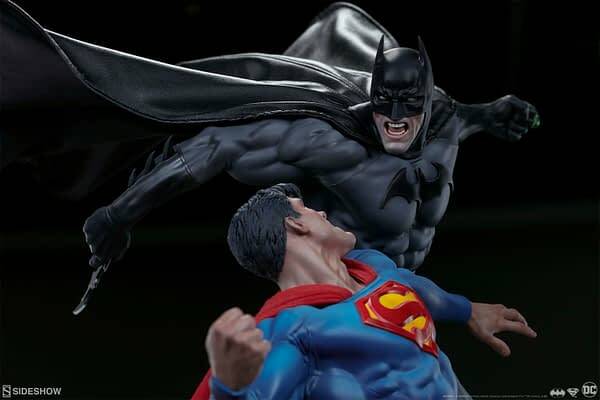 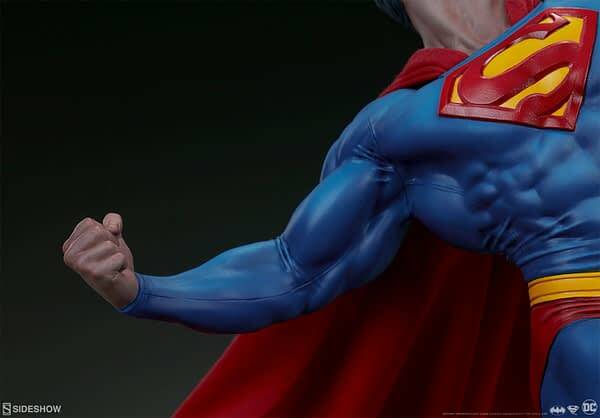 Superman is squaring off with Batman in a new statue from Sideshow collectibles. 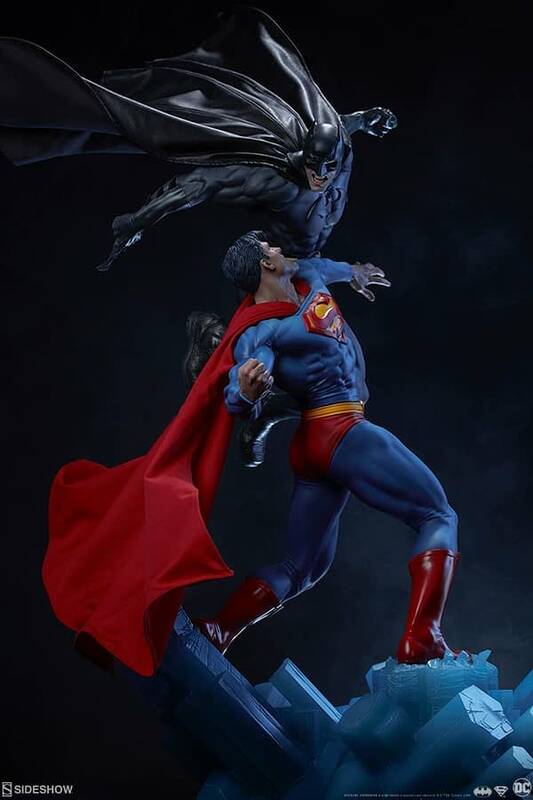 Standing at 23.5 inches tall, this massive diorama will come in two editions: a standard one for $685 and a Sideshow exclusive that will include a heat vision face portrait for Superman that will run you $699. 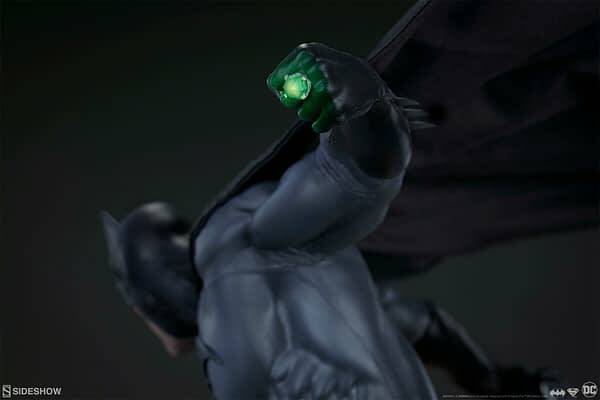 Both will feature poseable fabric capes, and Batman will sport a Kryptonite ring. 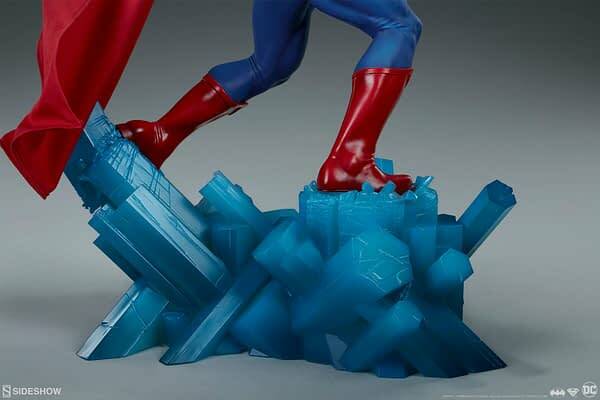 It stands on a base from the Fortress of Solitude. 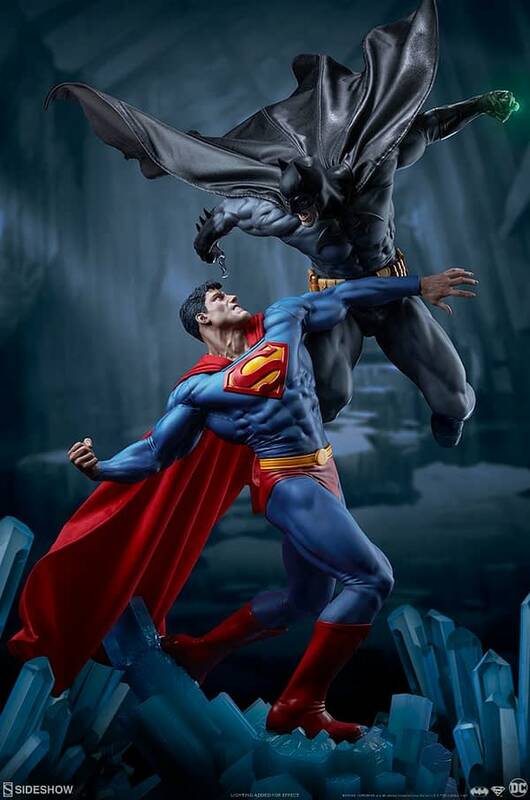 Both of these will go up for order on the Sideshow Collectibles webstore this Thursday, September 13th. 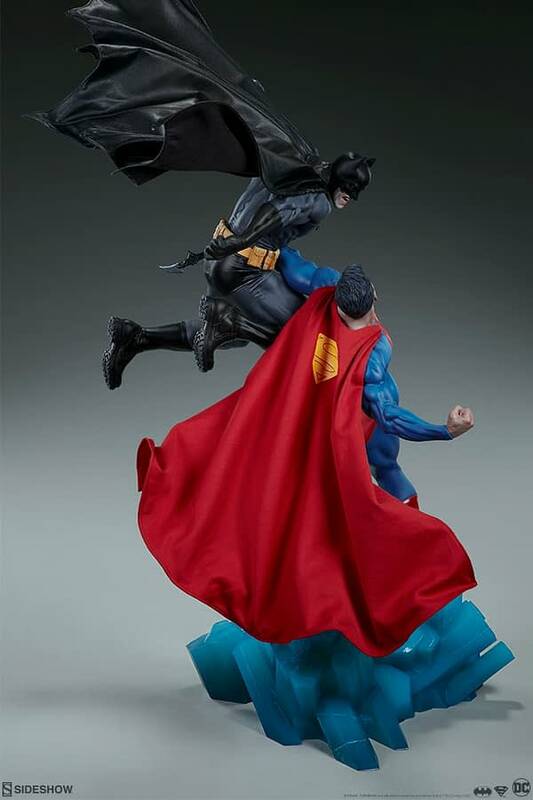 You can check out pics and details below, and click here to get to preorder on Thursday. 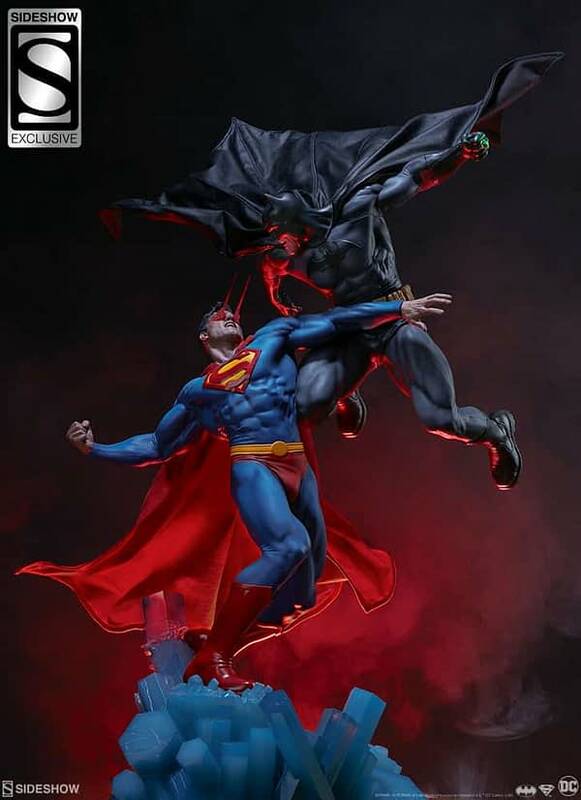 The resin Diorama features two highly-detailed, sculpted superheroes in an exhilarating composition that makes a spectacular centerpiece in any collection of DC Comics figures. 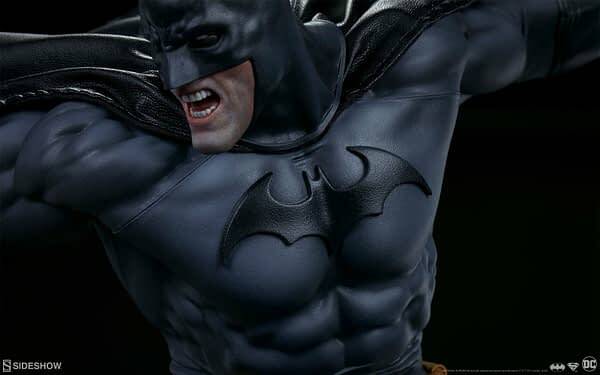 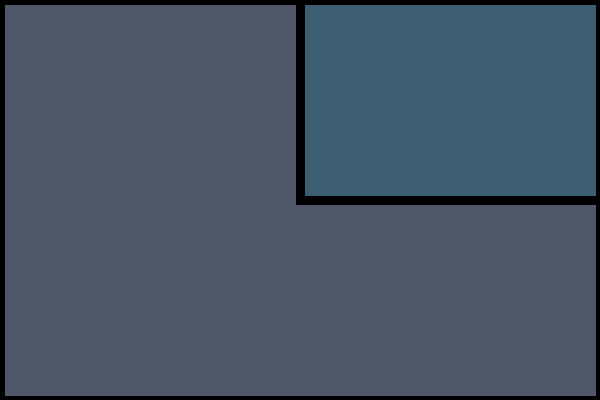 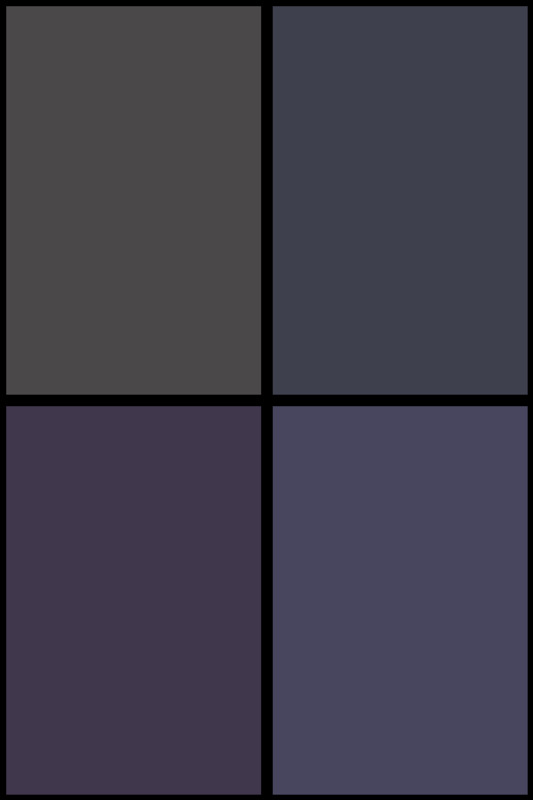 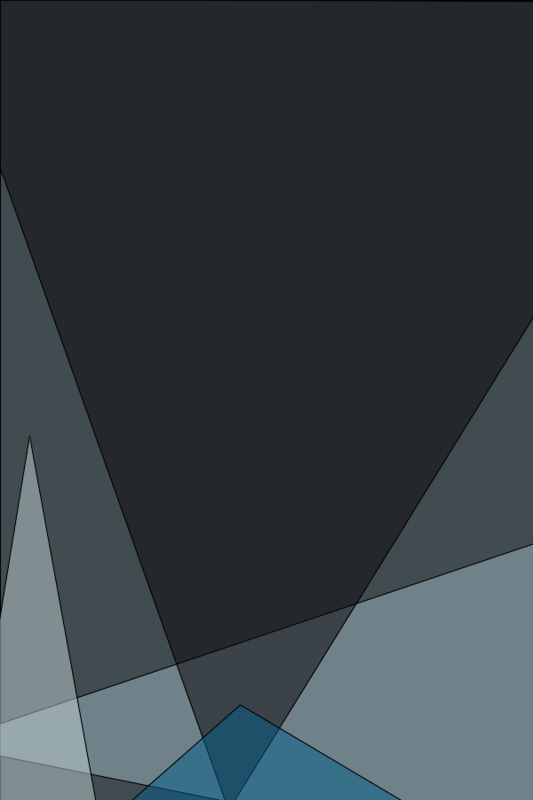 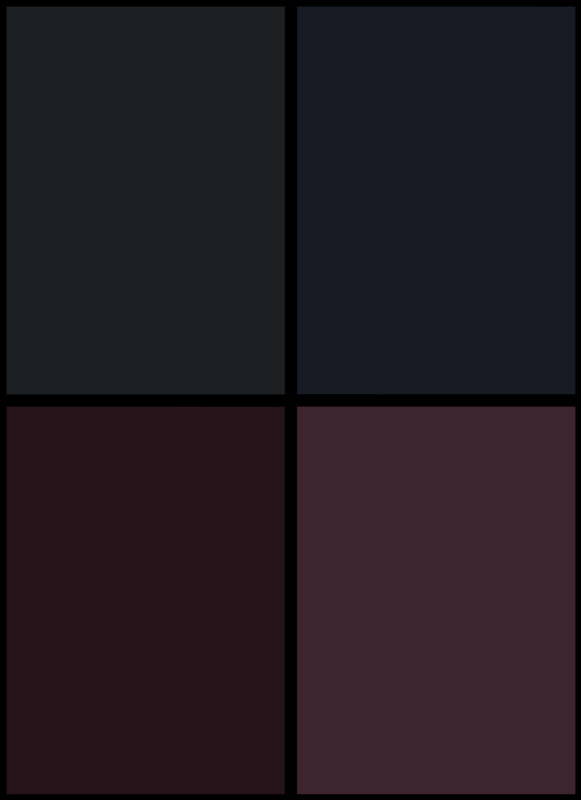 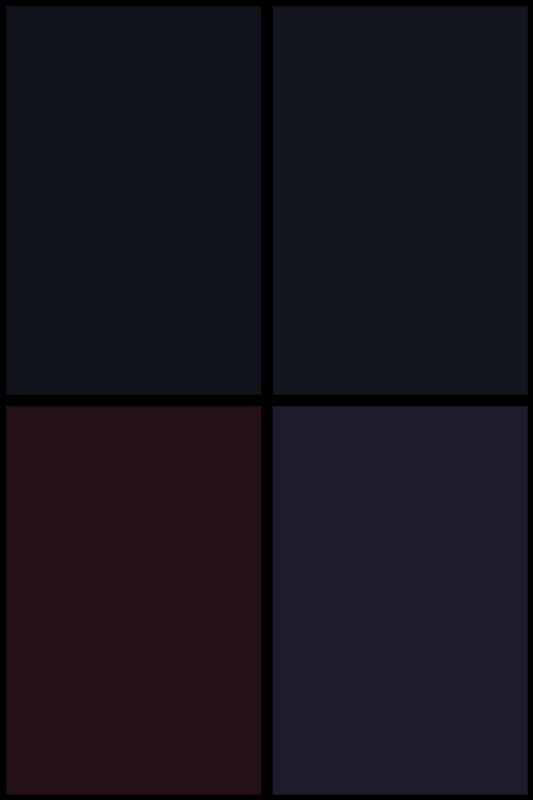 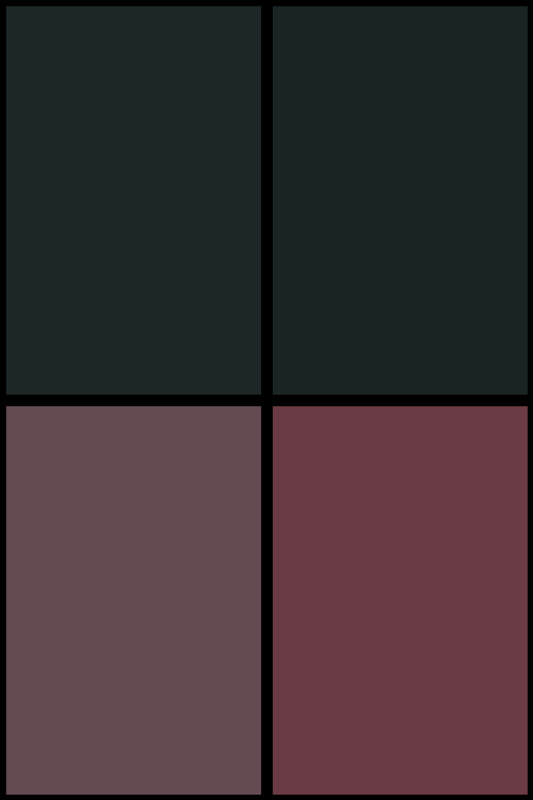 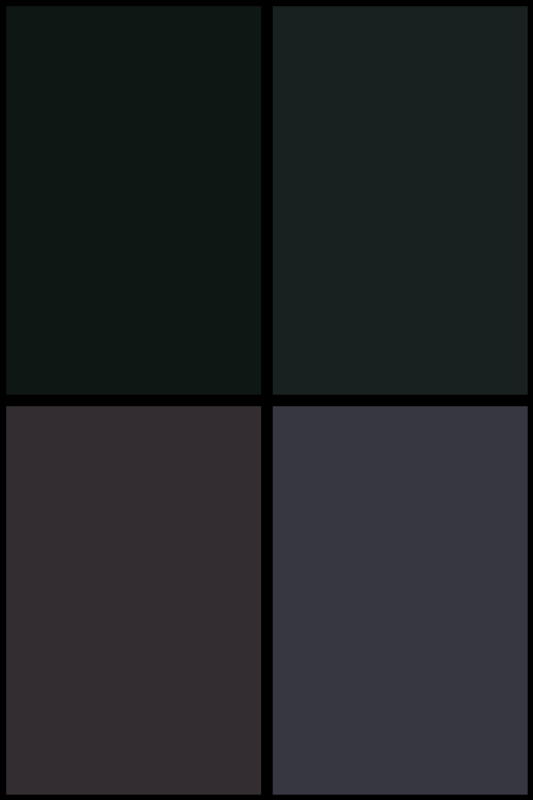 Batman wears his iconic black and grey suit, with a raised bat symbol on his chest and his yellow utility belt at the ready, while he holds a Batarang and prepares to punch Superman with his Kryptonite ring. 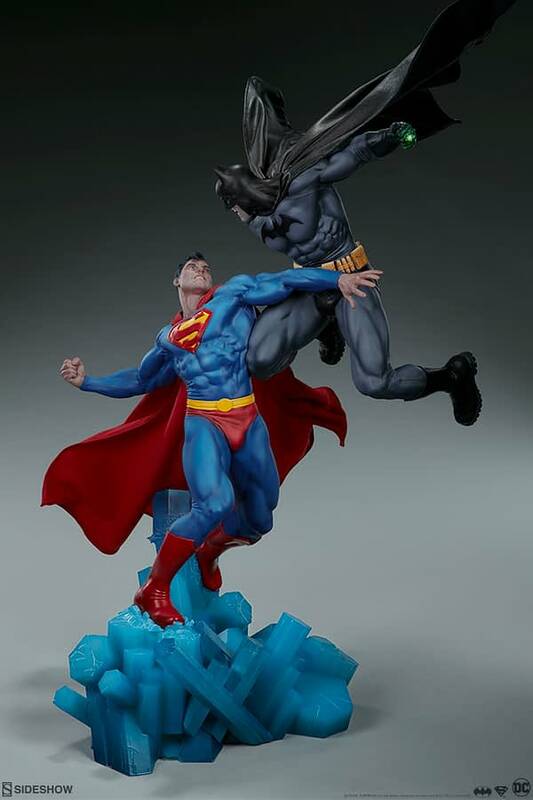 The Last Son of Krypton winds up to hit back with a super punch of his own and stop the Bat in his tracks. 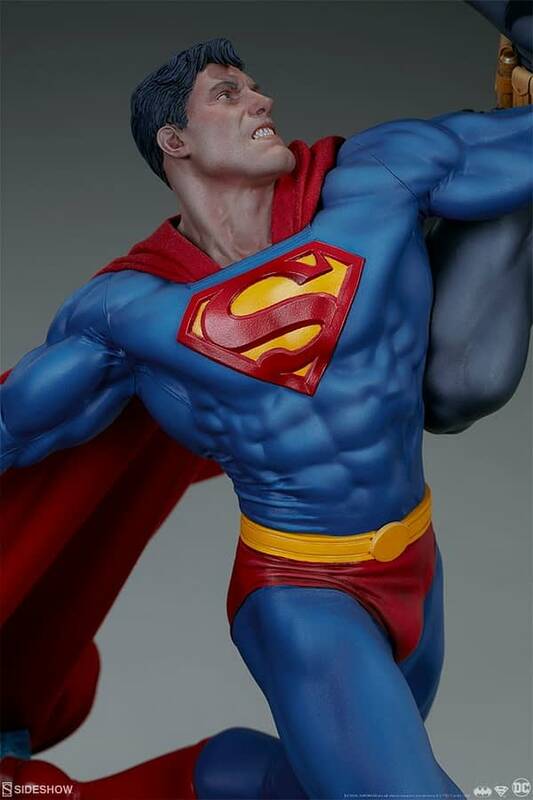 Clark features his famous colorful costume, a blue suit complete with his yellow belt and red trunks and boots. 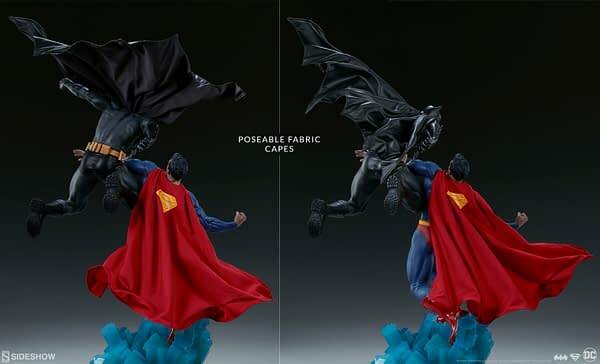 Both Batman and Superman also feature tailored fabric capes with internal wiring for custom posing options. 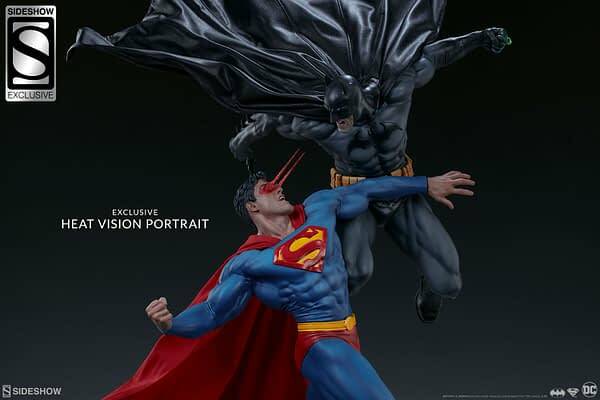 The Exclusive Edition of the Diorama includes a swap-out Superman portrait featuring his heat vision in action. Level the playing field with this exciting additional display option.